India’s largest carmaker and motorsport pioneer, Maruti Suzuki announced on Tuesday that the third iteration of this year’s FMSCI National Super League TSD Rally Championship 2016 (MS- NStsdRC) will be flagged off on June 16. Titled as the ‘Maruti Suzuki Backwaters Rally’, the 650km-long adventure is set to commence from the hill station of Ooty and will conclude in the coastal Kerala city of Kochi on June 19, informed a press release. The Vitara Brezza duo of Karthick Maruthi and S SankarAnand has grabbed pole position in the previous couple of rallies this year. They are closely followed by Sachin Singh in his Swift and Jagmeet Gill in the Vitara Brezza. He also attributed the association with MS- NStsdRC rally to be the driving force behind unexplored destinations being a part of this competition; starting with Uttarakhand, Pune and now Ooty. 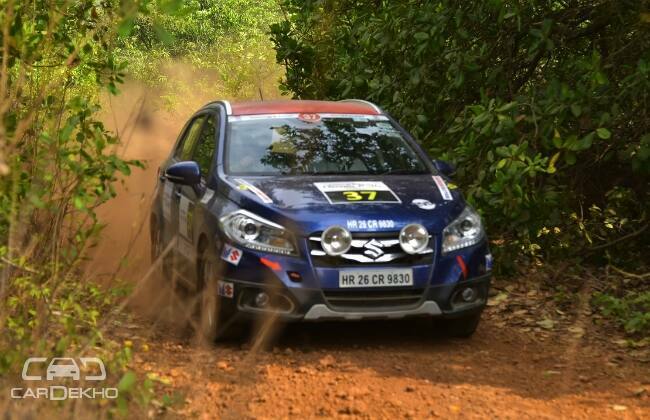 The Maruti Suzuki Backwaters Rally is the third edition of the six-legged Maruti Suzuki National Super League TSD Rally Championship that is recognized by the Federation of Motorsport Clubs of India (FMSCI). It will culminate into the Mughal Rally in Srinagar, the Rally of Gujarat and will finally conclude with the last rally, in Arunachal Pradesh. Following the Time-Speed-Distance (TSD) format, the rally championship is open to all four-wheeler make without any obligation on customisation. Been following the rally so far? Let us know your predictions for the Ooty leg in the comments section below.